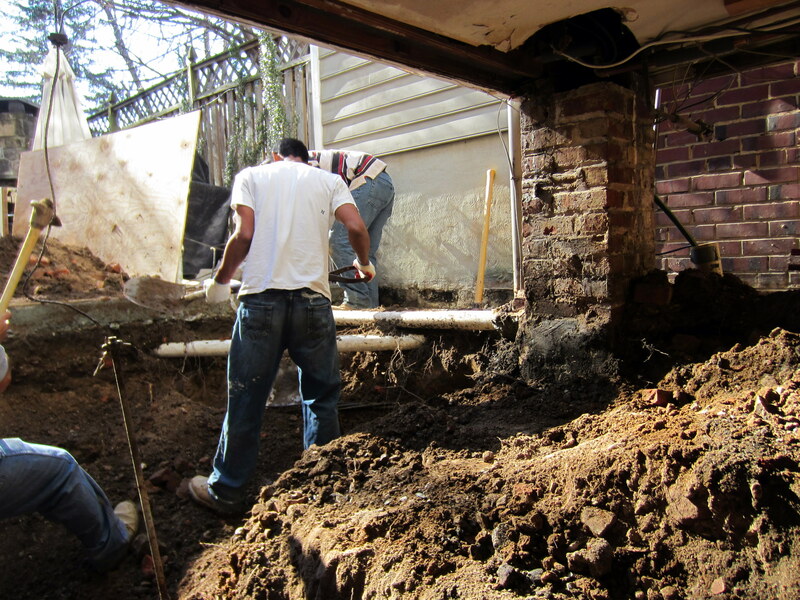 Unseasonably nice weather this week helped keep the demolition and excavation work on schedule. 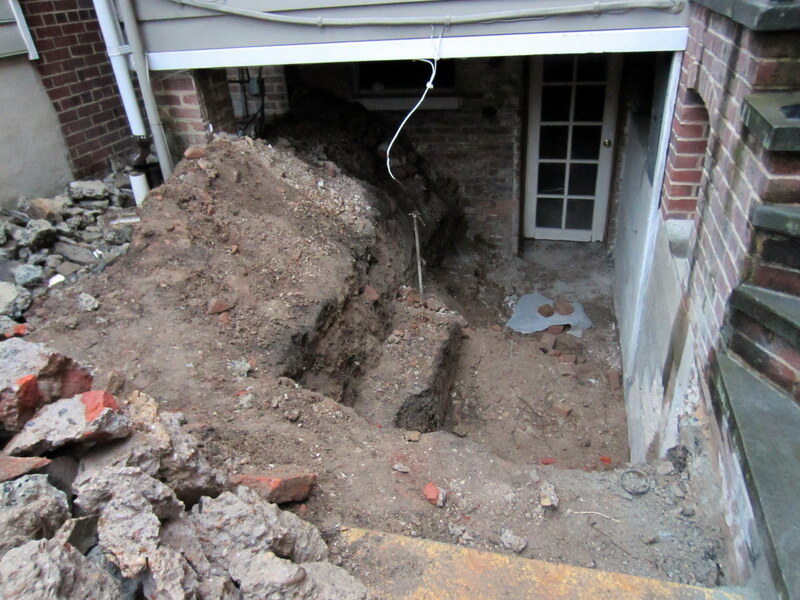 Below is a picture of the basement entrance / crawlspace area before renovation. 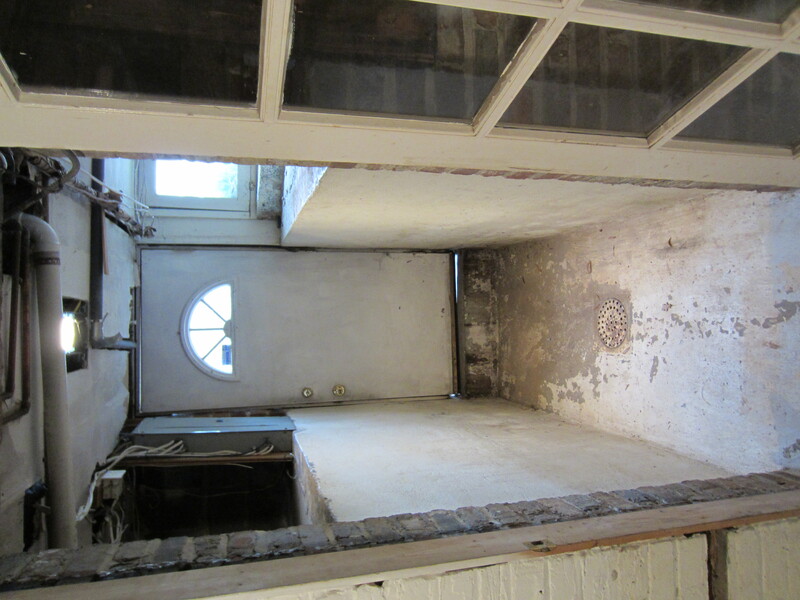 The rear of the house is actually built out over the original 1925 porch, so entering the basement from outside requires walking through an area that used to be an exterior area under the porch. 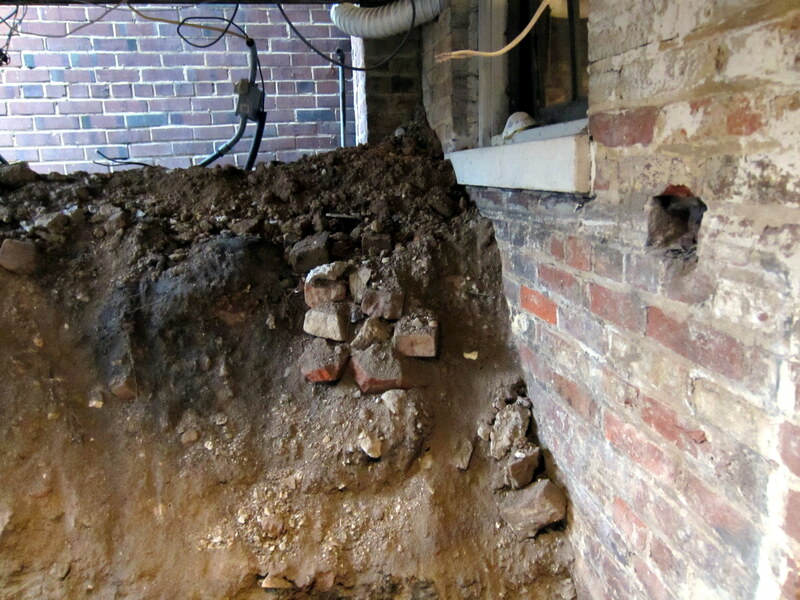 There are cement retaining walls with a narrow crawlspace on either side until you hit the furnace room (the entry there is half of a repurposed French door from the original dining room). Note the drain inside the door. This is what you get when a house evolves over time and you build out over what was supposed to be exposed, exterior space. 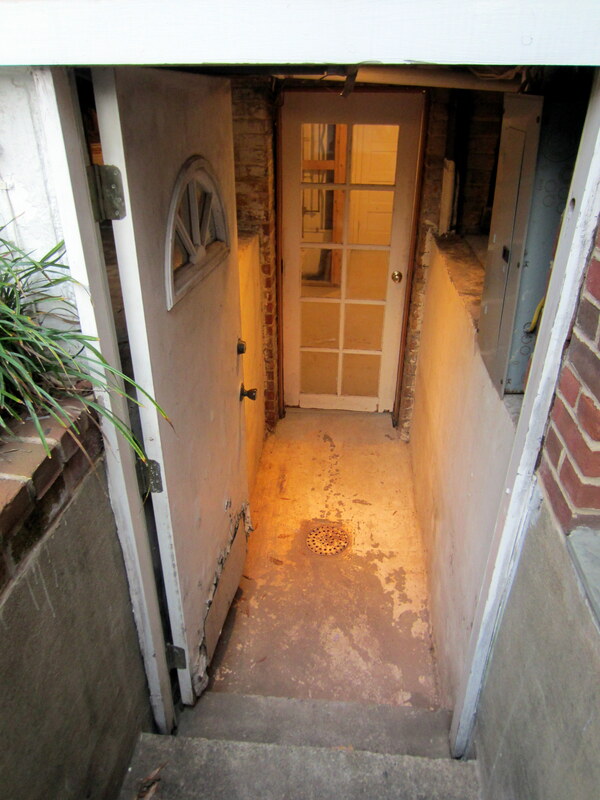 Rain + steps down + drain inside = creation of Ol’ Rotty, our forsaken backdoor. 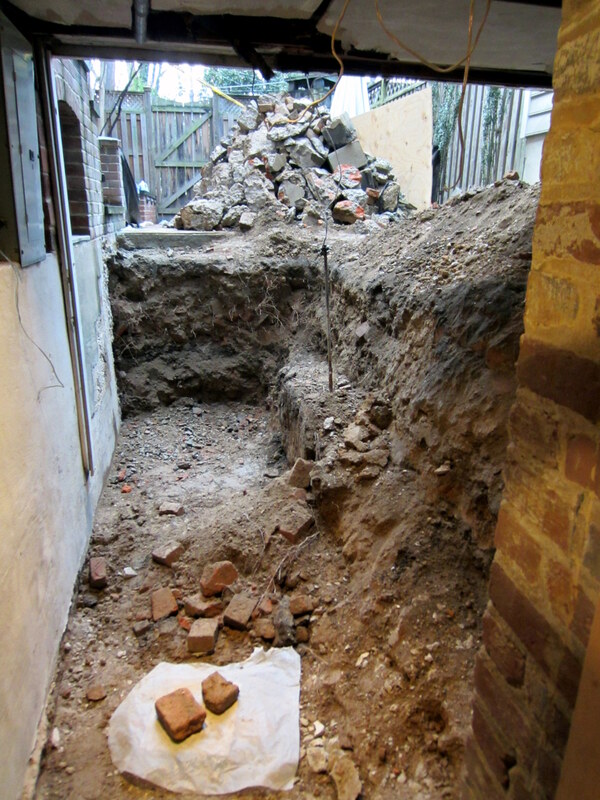 Here’s what this area looks like halfway through Day 2 of demolition and excavation. 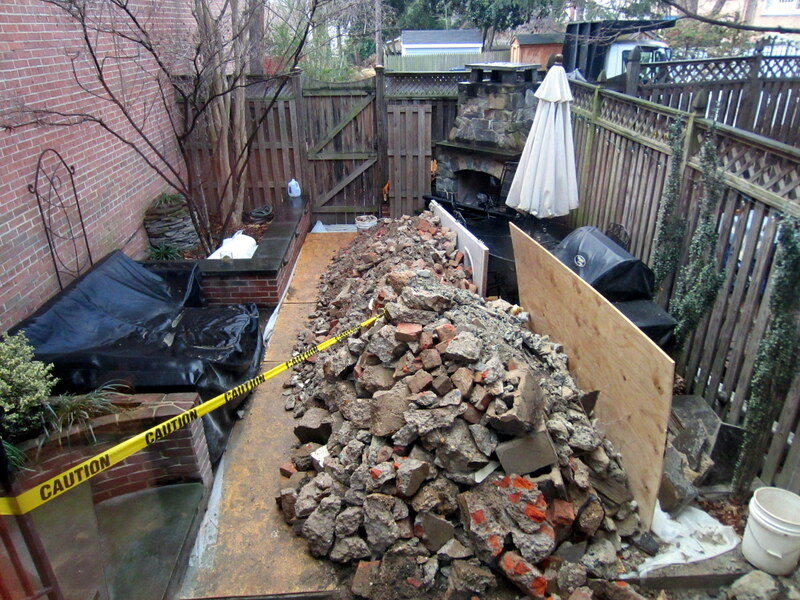 At this stage, good progress has been made in demolishing the west retaining wall and excavating the dirt behind it (no cool artifacts, unfortunately – just lots of old-school bricks). The cable and pole in the middle is grounded end of the lightning rod. 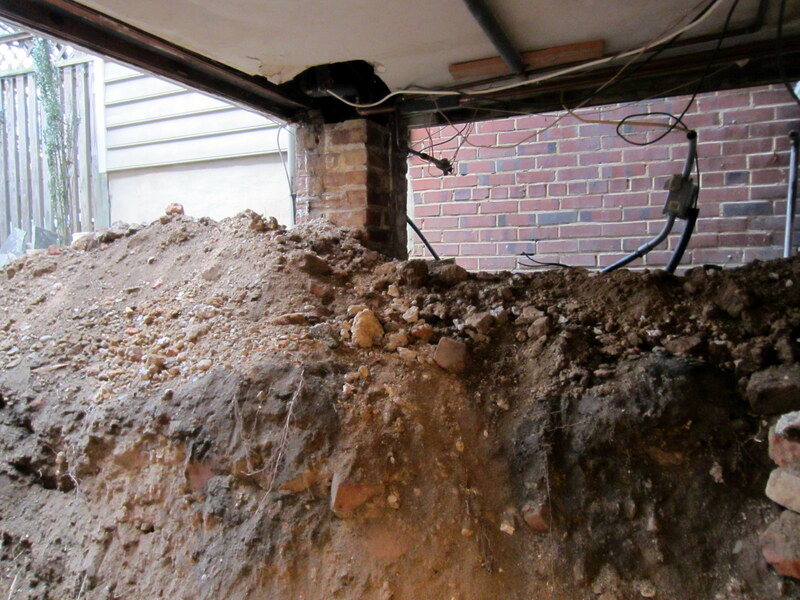 View from inside the basement. 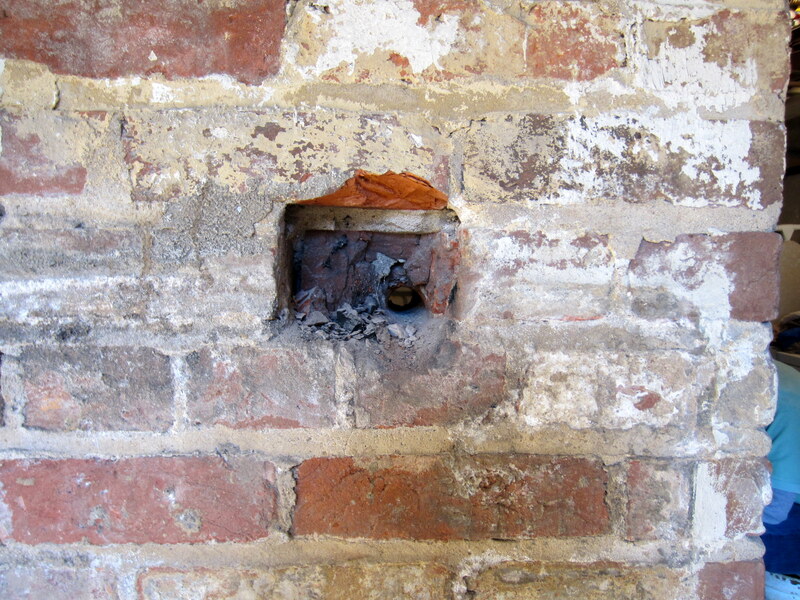 Note the electrical panel to the east. This baby’s gotta move at some point, too. Dangling electrical connection to our outdoor outlets. 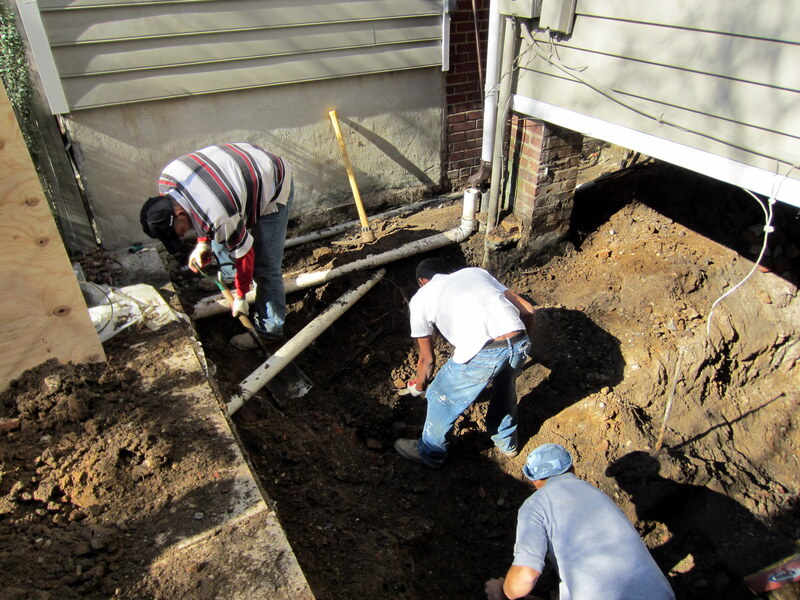 Excavating around our maze of conduits, which were installed when we had the backyard hardscaped in 2007. We still need to access them all, but having them reach daylight out of sight in the little alcove next to the house will no longer be an option. More on the approach to address this in a future post.